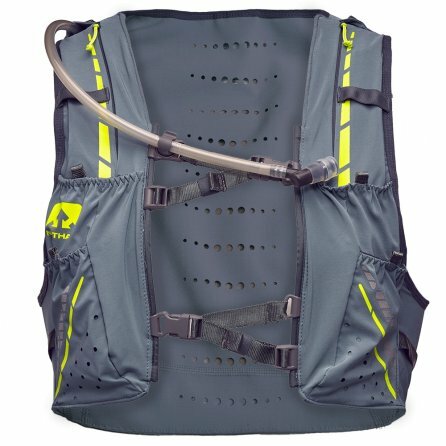 The Nathan VaporKrar 12L Race Vest keeps your gear organized and you hydrated, thanks to the included 1.8-liter reservoir. But if that isn't enough water you can put additional water bottles in the front pockets, giving you powerful hydration for long races or extra-hot training days. And the lightweight construction makes it feel more like a piece of apparel than a heavy pack.